Malls and shopping centers, libraries, museums, movie theaters, the YMCA, and water parks. The Health Department urges Newark residents to take precautions to prevent serious illness that can result from the heat, especially among vulnerable individuals such as seniors and those with chronic health problems or mental health conditions. Newark residents should drink water at regular intervals, use air conditioning to stay cool, go to a place that has air conditioning if it is not available at home and limit strenuous activity. “Residents are advised to check in on vulnerable friends, family members and neighbors to help them stay cool,” Mayor Baraka said. 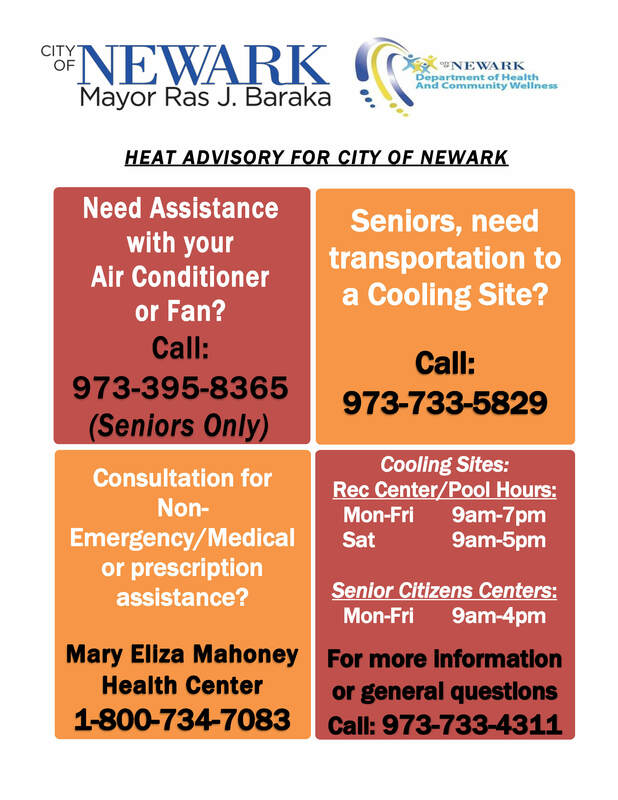 “The City of Newark and The Department of Health and Community Wellness are always available to answer any questions that you may have during this heat wave. We are working to make our City one that we can all be healthy in and believe in!” said Director Wade. For additional information on how to beat the heat, you may call the Newark Department of Health and Community Wellness at 973-733-7592 or visit our social media page at http://www.facebook.com/NewarkDHCW and http://www.twitter.com/NewarkDHCW.